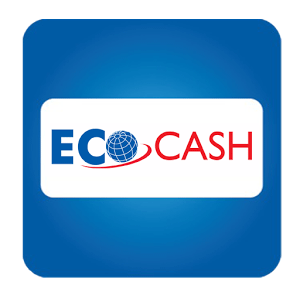 For some time now, I have been using my EcoCash wallet to buy airtime.Though I don’t get a discount for doing this (they give dealers and wholesalers between 8-10%, surely this can be extended to us, they have no printing costs of a physical recharge card or other costs that are associated with buying airtime) it is still my primary source of phone credit to keep in touch with the outside world. Well, on hearing of the unlimited access to the internet through Opera Mini recently, I just had to get in on the fun. WhatsApp, Twitter and Facebook bundles and unlimited voice calls have been serving me properly, so what better way to add to my daily delights than by subscribing to such promotions. After a read through of the instructions on how to subscribe, I was happy to note that there was a means to directly subscribe to the promotion from my EcoCash wallet. I have had previous issues with topping up using EcoCash on weekends but after not receiving any SMSes regarding the weekend promotion for some time now, I assumed that this promotion was done away with. EcoCash have this promotion where they award you with 50% bonus airtime credit for any purchases you make on the weekend. Sounds cool? It kinda is, the only challenge is that the 50% bonus has a weekend expiry (midnight Sunday), of which you can only access that bonus after the “main” airtime you bought has been used up. Did I mention that the bonus airtime is only for Econet to Econet calls, and worse still both the main and bonus airtime are billed at the normal call rates – $0.24/minute. The funny thing is that the main airtime that you buy can only be used for calls, SMS and internet access at ‘normal’ EXPENSIVE rates. Worse still that airtime cannot opt into any other promotions, as you cannot use airtime from one promotion to opt into another! Econet essentially opt you into a promotion, without your consent, when you buy airtime through EcoCash on weekends (note that this is against POTRAZ terms and conditions, as a user must be able to opt out of any promotion). During the week, when buying airtime through EcoCash, that airtime can be used to opt into ANY promotion. However, you do not have that liberty over the weekend. Econet/EcoCash FORCE you into this weekend promotion of theirs that means that you are stuck with their pathetic rates. From my heated discussion with them, they say that if you don’t want to be opted into this promotion of theirs, THEN DON’T BUY YOUR AIRTIME THROUGH ECOCASH ON THE WEEKEND. Is this me just ranting off? What are your thoughts on this means of a promotion from them? Do you buy your airtime through EcoCash? Will this affect you? nothing productive to say why not keep quiet instead of trolling? kushanyaya kuita sei? kubeer kunoitasei. wadii kungonyara hako! Thanks William for those comments. It explains a lot! That said, I am no longer getting my airtime via ecocash on weekends as all my weekly subs require an opt in on a sunday. How did you get the unlimited voice by the way? I got the ‘unlimited voice’ strictly by invite. Nothing done on my part. Not too sure what maths they used to select me, but got sent their SMS advising me of their promo.. Thanks for the info. I managed to speak to someone at EWZ commercial this morning and apparently they are working out the metrics in terms of the average use per day per person hence the trial. Thanks William for the observation. Econet is unjustified. The Ecocash money with which I buy airtime on weekends is still my money. Why shud I be forced into a promotion using my wallet? We are therefore being held captive 2 days every week. It’s just rotten and incensing. I will not use Ecocash for airtime on weekends again. Not the best article I’ve seen on TechZim, and I say that to be polite. Do you work at EWZ??? Because everyone that disagrees with an article must work at Econet? Brilliant reasoning. These are the kind of articles where without consumer watchdogs people should take hid and treat them seriously. This is grossly unfair from Econet .Worse for them to suggest someone not to buy airtime using Ecocash during the weekend was rude from them. kushaya nyaya? yall are pathetic this is technology zimbabwe. I don’t see how anyone who HAS used ecocash during the weekend to top up be blind about how econet is robbing us. clearly varikuti kushaya nyaya know nothing about this/use telecel or just forgot to take they pills. and they shd practice their right to remain silent. About William Chui…….Chui has helped build the online social media presence for brands such as GTeL Zimbabwe and Telecel Zimbabwe & Techzim. All your article are aimed at blasting Econet not to say they are a perfect lot. But spare a moment to evaluate your articles fairly. I write from what my experiences are, after having used the service. Not too sure what is misleading? My having done some work for Telecel? Which I am no longer doing. And would because I have done some consultancy there mean that I am no longer allowed to use Econet’s services and comment on my experiences?